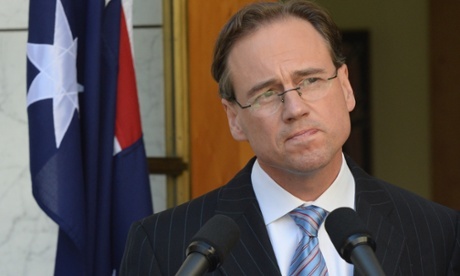 Australia’s Environment Minister Greg Hunt has today announced he will be taking leave from election campaigning to enter the UFC to fight returning champion Brock Lesnar in a no-holds barred cage match. The move took the MMA world by surprise, however Australia’s political journalists seemed unperturbed with veteran reporter Laurie Oakes predicting the fight in a column for The Daily Telegraph three weeks ago. When reached for comment Hunt’s opponent Brock Lesnar simply stated, “Greg Who?” before going on to bench press a camera person. The fight will be held at the UFC pay per view number 200, with the winner of the Lesnar vs Hunt fight tipped to be named Speaker of the next Australian Parliament.